I doubt any of the presenters at the event Metropolitan Water District is hosting tomorrow on the risk of an earthquake to water supplies plan to mention the numbers in the headline, most probably aren't even aware. I didn't make it up, it comes directly from the Department of Water Resources' DRMS reports. I had noticed in the phase 1 report that it looked like most of the cost was in-Delta rather than water exports, but it wasn't until DRMS phase 2 was released that it became obvious. Below is a table from DRMS phase 2 that breaks out some of the costs due to a big seismic event that would flood multiple islands. "Statewide costs" are defined as the cost of water export disruptions and costs due to damage to the 3 state highways crossing the Delta. 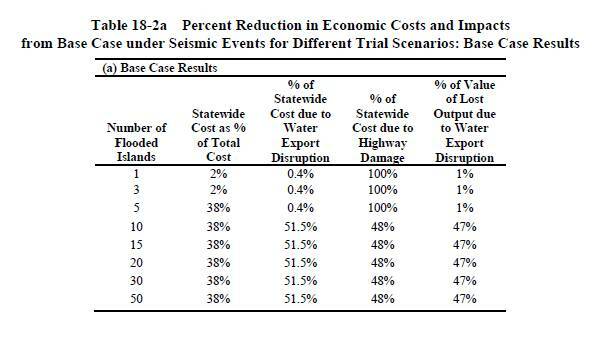 Even in the big earthquake scenarios that flood 10+ islands, only 3/8 of total costs are statewide, and the majority, 5/8 are in-Delta costs (i.e. losses to property, infrastructure, farm production, local water supplies and transportation, etc.) even if you don't count any state highway related losses as in-Delta losses. 51.5% of 38% is actually 19.57% of total costs from water exports, so I had to round up to get the 20% figure in the headline. This finding that came out of the DRMS studies (and it was actually in phase 1 too) really makes one wonder why the Department of Water Resources is so focused on isolated conveyance as the answer to the seismic risk in the Delta. 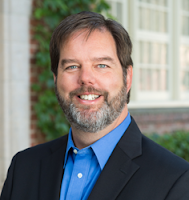 DWR is pushing plans to spend $13 billion on an isolated conveyance that protects 20% of the costs of the big earthquake, and does nothing for the other 80%. Wouldn't any rational person staring at these numbers wonder why that risk reduction strategies are so focused on 20% of the cost, and virtually ignore the other 80%. If it makes sense to spend $13 billion protecting 1/5 of the cost, doesn't it make sense to at least consider what benefit might result from spending $13 billion (or even $2-4 billion) on seismically-resistant levee upgrades that would protect 100% of the costs, not to mention all the potential loss of lives from the big earthquake flood scenario. That is what the Delta Protection Commission's Economic Sustainability Plan's levee recommendations say, the best risk reduction strategy is to spend a few billion dollars improving levees beyond PL 84-99 to be seismically resistant. Even if the DPC ESP has understated the cost as some have claimed,* the DRMS risk numbers suggest it would still be worthwhile to invest enormously in the levees. I could write about 20 posts on the interesting things one can glean from DRMS phase 2, and I may eventually get around to it. (another thing that is obvious when you start to deconstruct the results is that improving Delta levees to PL 84-99 with improved emergency response clearly offers the most risk reduction bang for the buck according to DRMS phase 2 tables). If it actually used better scenarios, the updated tunnel conveyance and cost instead of the surface canal, and analyzed the "building blocks" individually, DRMS Phase 2 would be by far the most useful Delta study of all. It is, after all, a cost-benefit analysis. The Stewardship Council's ISB should do a peer review of Phase 2 like they did Phase 1, as the panel would probably call for analysis of better scenarios. * regarding levee upgrade costs, the DPC ESP estimates a seismically-resistant upgrade of most Delta levees would be $1-2 billion above the PL 84-99 upgrade cost (which is estimated to be under a billion). I have received some informal comments that it could be as much as double this, but even if that were the case, it doesn't change the basic argument. I am unable to attend the Delta Conservancy/Water Education Foundation/Water Contractor sponsored "Changing Our Perspective" Event today. With no disrespect intended to "Dialogue Mapping," I will suggest (again) that the obvious missing perspective from all the Delta discussions is Cost-Benefit Analysis.